I made these with the leftover pork from yesterday! The pork tasted just as good as it did when I first cooked it. I simply reheated it and made a slider out of it. 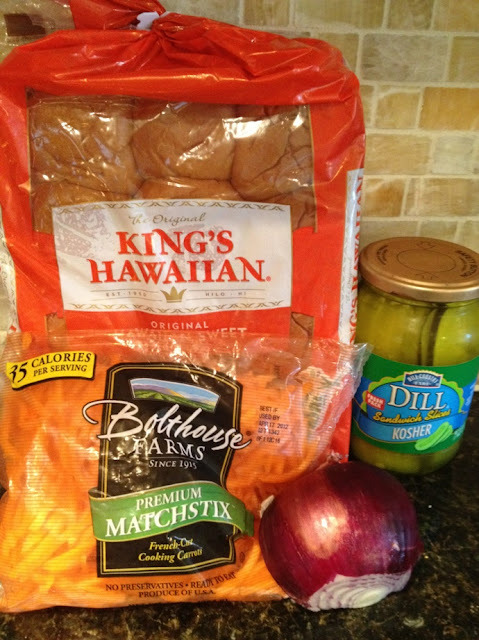 These sliders would be the perfect appetizer for any party! You will definitely impress your guests if you serve these. There really is nothing to putting these together besides cooking the pork, of course. 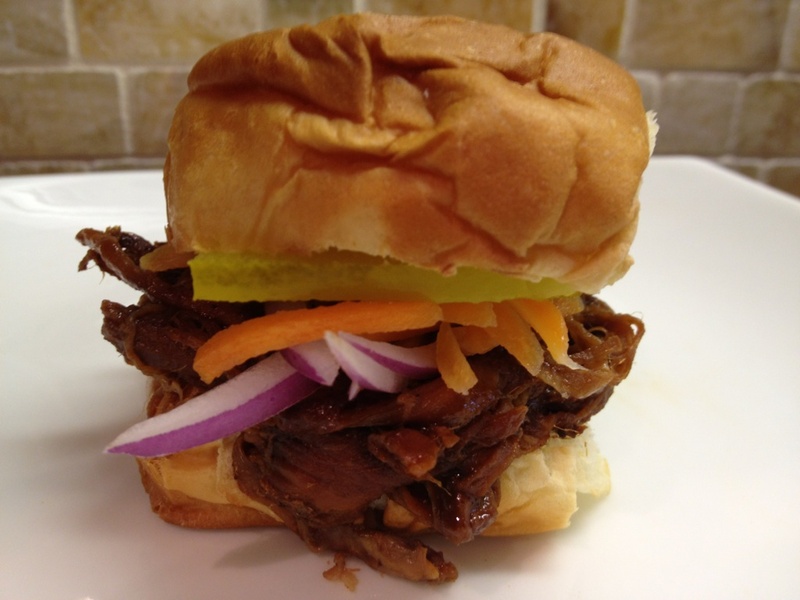 I was going to make a slaw for the slider but I think it would have made it too creamy and taken away from the flavor of the barbecue pork. 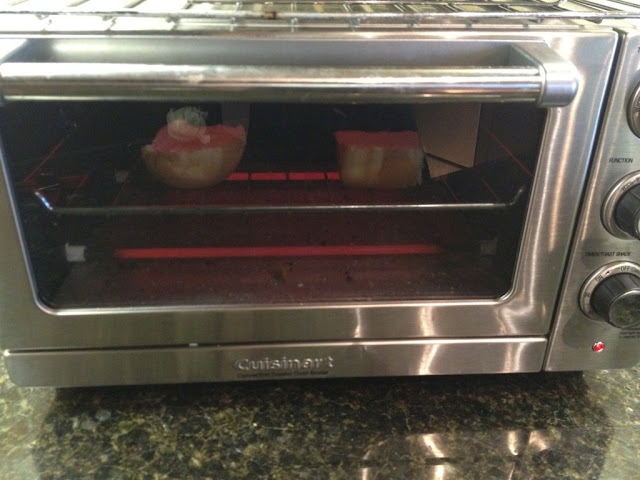 Lightly toast your rolls and reheat your pork in the microwave (if you are using leftovers). 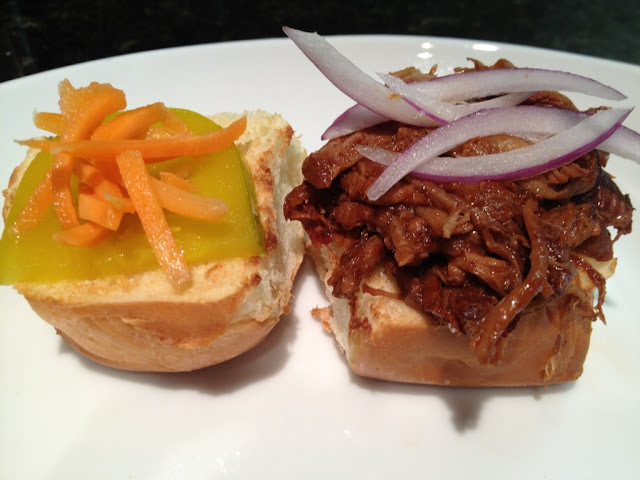 Pile on your pork and red onions on one side of the roll and the pickles and carrots on the other side. That is it! You now have one tasty appetizer or entree! I am addicted. I have already eaten way too many of these.